Did I ever tell you I have a "thing" for s'mores? Goes without saying, right? 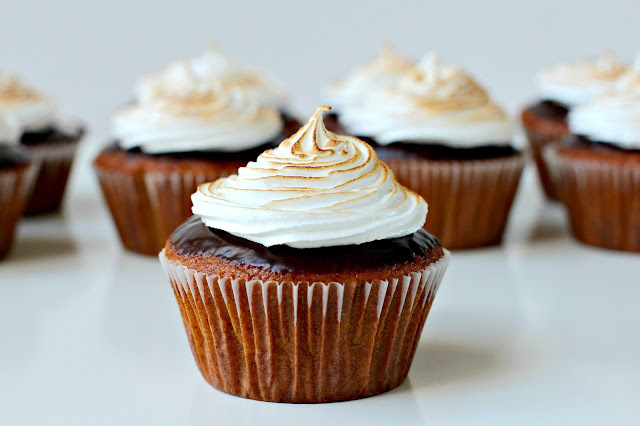 So I combined my "thing" for s'mores with my "thing" for cupcakes and came up with these... which I think I now have a "thing" for. 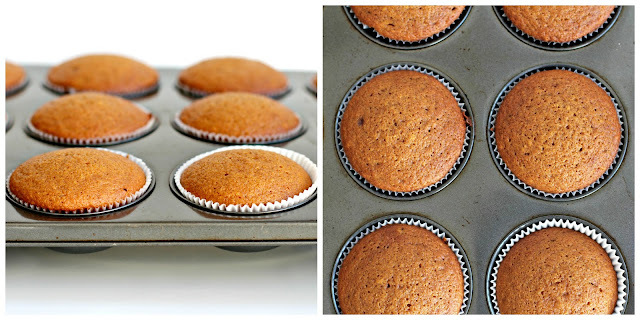 Preheat the oven to 180 degrees C and line a 12-hole muffin pan with paper liners. In a large mixing bowl, beat the egg and sugar together until smooth. Add the oil and pumpkin puree and whisk. Add the flour, biscuit crumbs, baking power, bicarbonate of soda, salt and spices and whisk it together until smooth. Finally, add the buttermilk and gently stir until incorporated. Using an ice cream scoop, scoop the batter evenly into the paper liners. 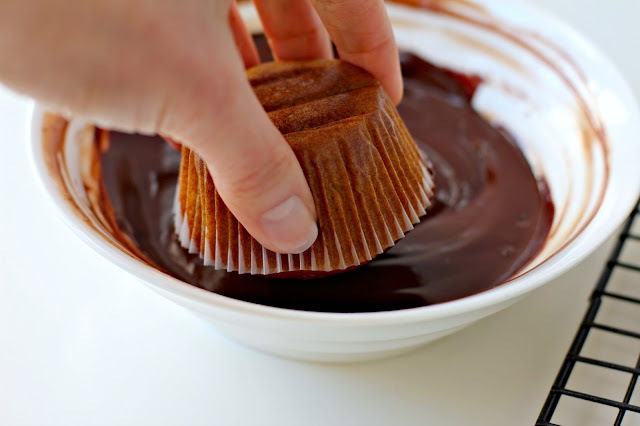 Bake for 18-20 minutes until a skewer inserted into the centre of a cupcake comes out clean. 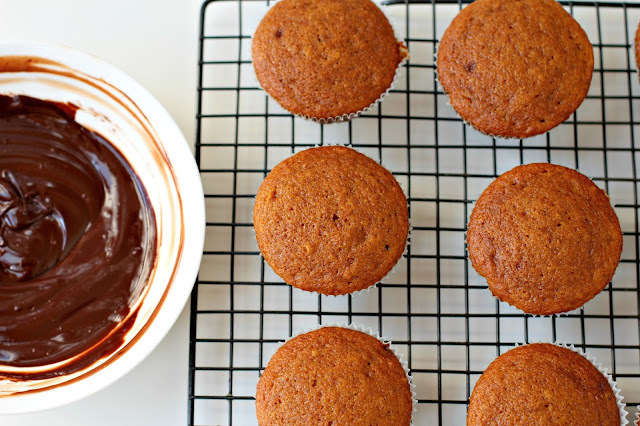 Let the cupcakes sit in the pan for a few minutes then remove them to a wire rack to cool completely. Put the chocolate into a heat proof bowl. Place the cream in a small saucepan over high heat and bring to just below boiling. Remove from the heat, pour the hot cream over the chocolate. Leave for two minutes then stir until smooth and glossy. Put the egg whites, sugar and cream of tartar into the bowl of an electric mixer and set it over a pan over simmering water - don't let the bowl touch the water. 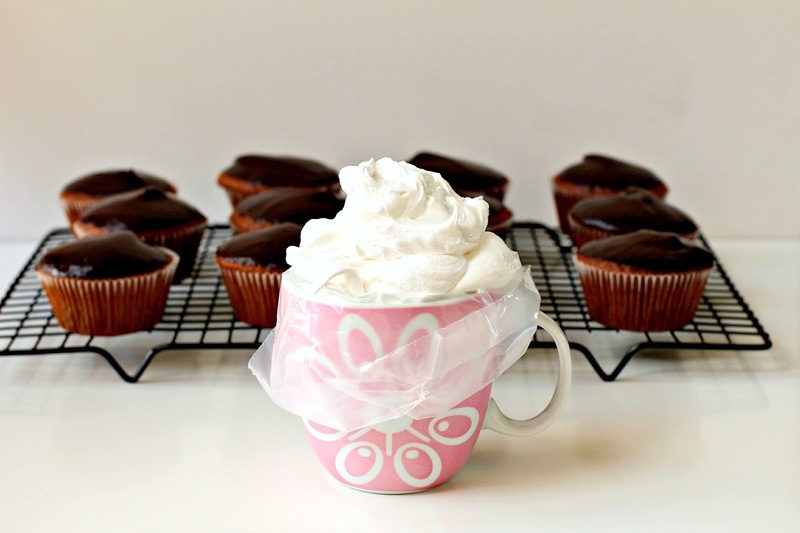 With a hand-held electric mixer, whisk constantly until the sugar dissolves about 3 - 4 minutes. The mixture should be warm to the touch. Put the bowl onto the base of the mixer and attach the whisk attachment. Whisk for about 5 - 7 minutes on high speed until you have a superb meringue-y mixture. Add the vanilla and mix to combine. Use immediately. 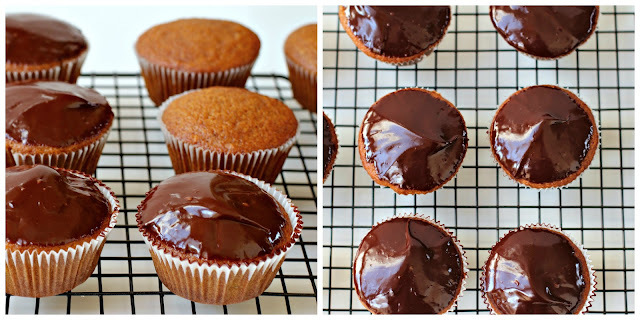 Dip each cupcake into the ganache and let the ganache set at room temperature, about 10 minutes. Pipe swirls of marshmallow frosting onto the cupcakes and torch briefly until lightly toasted. Hey Annie, thanks for your lovely comment. We can't get pumpkin puree here either! I don't know why, it's not like we can't buy just about everything else in a can. We grow lots of pumpkins and when we have too many, I cut them into 5cm dice, roast them in a 180 degree oven for about 45 minutes until soft, but not coloured, and puree them with a stick blender. Then I freeze the puree in 1 cup containers. It's not as easy and quick as opening a can, but it does the job. Oh my goodness. These cupcakes are gorgeous! I love how you piped on the frosting and even toasted it. They are so perfect! Thanks so much Abbie. I'll do anything to be able to wield by kitchen torch! I'm so glad I'm not alone. Now I want cupcakes for breakfast. I blame these incredible photos and original concept entirely lol. Thanks so much Jocelyn. If you're contemplating cupcakes for breakfast, then we are kindred spirits. How amazing are these?! These flavors are to die for. Thanks Marie. 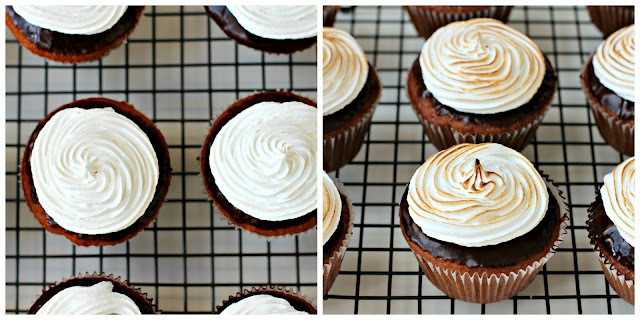 I'm pretty sure the only way to improve on s'mores is to add the flavours of pumpkin pie. ... if there's a vegetable in there, it's got to be good for you. Right? Love these, Jen. Your photos are gorgeous. Haha Angela - They're practically health food. 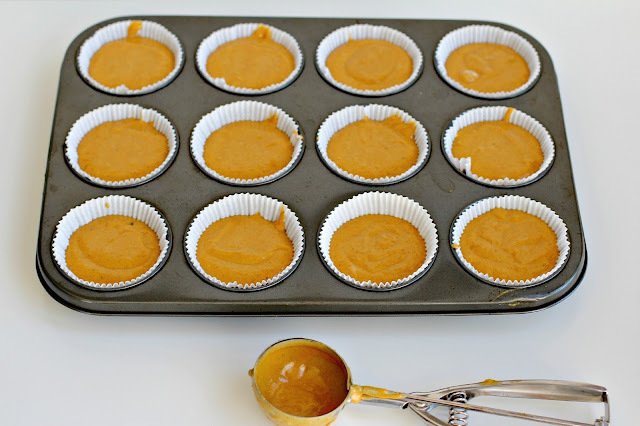 Perfect for Fall and I love the way you dip these in chocolate. Beautiful photos as always! Thanks Jessica. Dipping means you sometimes get a little on your fingers... which is always a good thing. 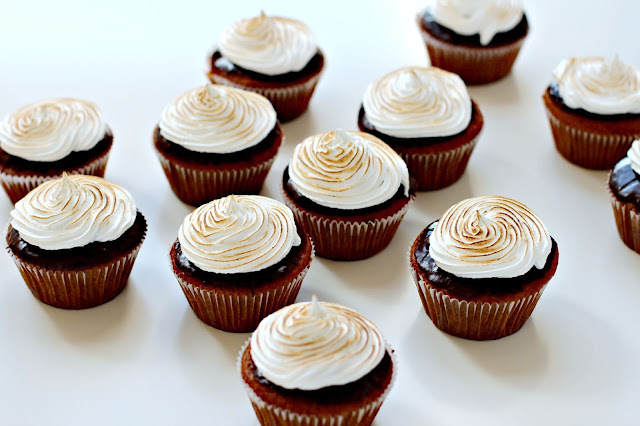 These look amazing Jen. Fortunately here in the states we do have pumpkin puree available year round in our grocery stores so I tend to use the canned rather than buy pumpkins. Lucky you grow them. Thanks Patty. Lucky you to be able to open a can and have pumpkin puree without all the work! Pumpkins are available all year 'round here, and we tend to eat them throughout the year as well, not just in Autumn. May be that's why we don't get the canned stuff. 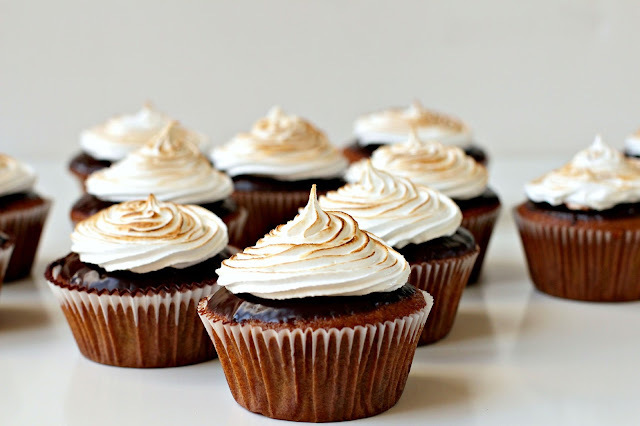 I am not sure you know the amount of joy this post and these cupcakes have caused me. I will be forever grateful when I'm sitting down to eat 4 of them. They look AMAZING! Haha Pamela - I'm so glad I was able to share the love. Thank so much. I must say, I'm very happy with the way these turned out. Yum! 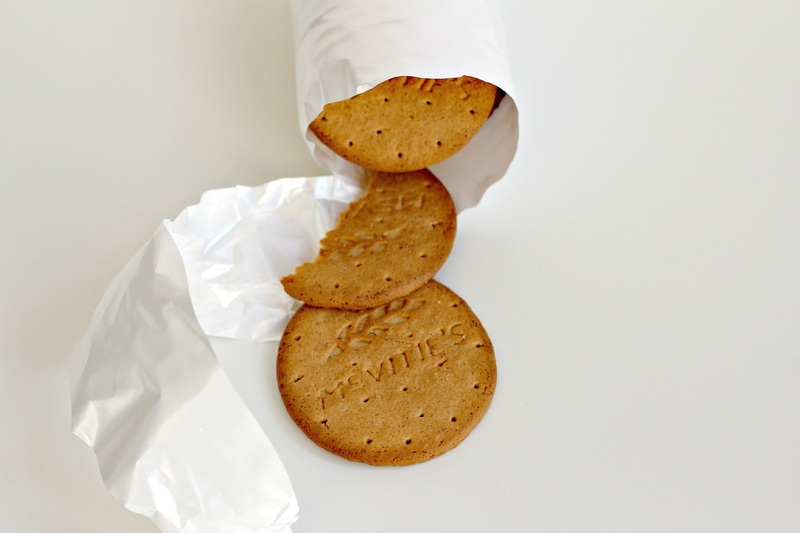 I never would've thought of putting crushed Digestives into cupcakes. What a fabulous idea! 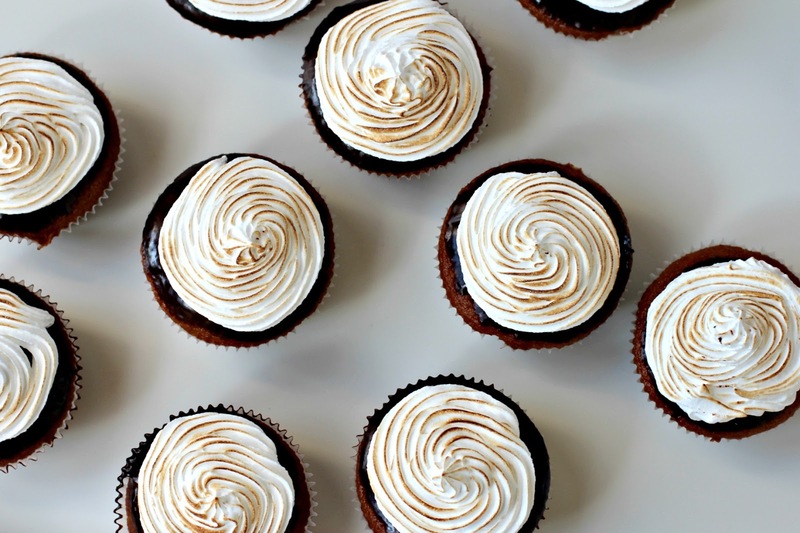 Love the idea of that gorgeous marshmallow frosting too. Ah, I've just gone to s'mores heaven. You are a genius, woman. Mmmm! Oh wow. We are entering prime pumpkin time here! I love the s'mores riff. I bet that is just crazy amazing.. Thanks Maria. I knew these little cupcakes would be perfect for the season in your part of the world. 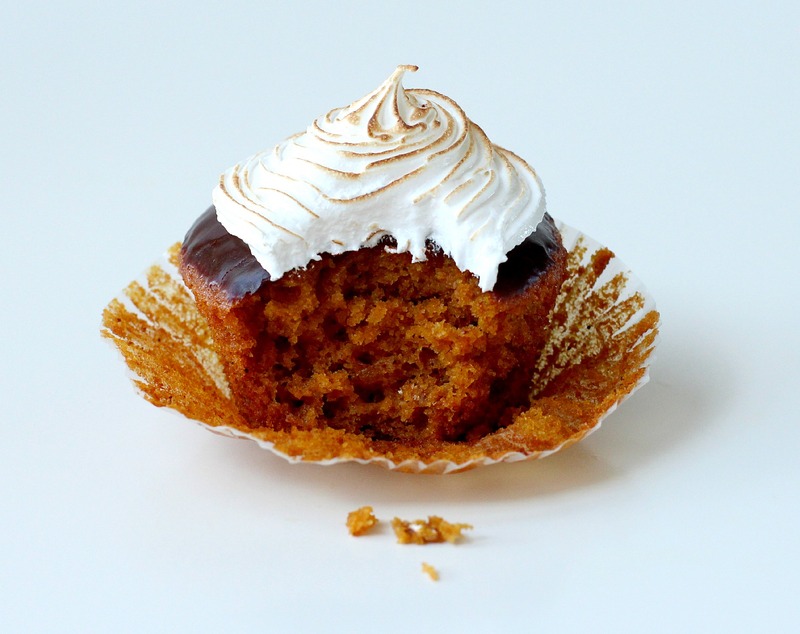 In my part of the world, we eat pumpkin all year... and I'd eat pumpkin cupcakes and s'mores in any season. Thanks Yvonne. I'm a sucker for s'mores and pumpkin-pie-flavoured anything. Gorgeous photos! The cupcakes look so yummy! Thanks Natasha. They were gone minutes after a took these photos!